Battery substitute for Sony NP-FG1/BG1 InfoChip Compatible with the following Sony camera's: Cybershot-series: DSC-H3 DSC-H7 DSC-H9 DSC-H10 DSC-H50 […]. 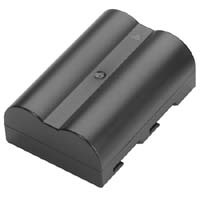 Battery substitute for Sony NP-FW50 Compatible with the following Sony cameras: Sony NEX-3 NEX3 NEX 3 N-EX3 Sony NEX-3N […]. Battery substitute for Olympus LI-50B Compatible with the following Olympus camera's: Mju/µ-series: mju-1010 mju-1020 mju-1030 mju-1040 […]. Compatible with: NX 1000,1100,200, 210, 2000 and 300..